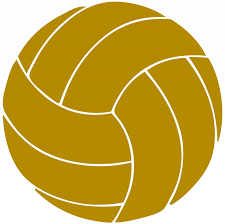 Penn’s Freshman Volleyball team swept Marian, 25-18 and 25-19, on Tuesday, Sept. 6. Middle hitter Tricia Buckey led the Kingsmen with 8 kills, followed by outside hitter Ali Moore with 7 kills. Libero Hannah Lovisa contributed 2 kills and 11 digs to the Kingsmen cause. Camille Crist had 2 solo blocks. Setter Kaitlyn Papp had 22 assists.